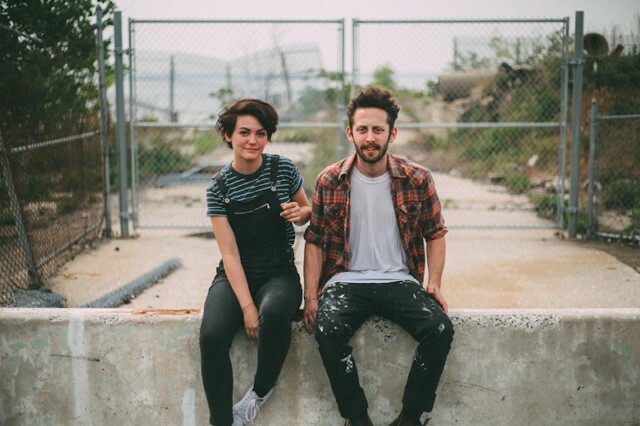 From a new 7-inch out September 18 on Father/Daughter in the U.S. and Art is Hard in the U.K.
New Paltz, New York duo Diet Cig’s Over Easy EP earlier this year was a sugar-rush of careening art-pop miniatures, but they’re already back again with news of their next release, a two-song 7-inch, due this fall. The first single “Sleep Talk” arrives today, and like the EP standout “Harvard” (one of SPIN’s 63 Best Songs of 2015 So Far) this one’s a collection of bratty vocals and heart-sleeved sentimentality, with singer/guitarist Alex Luciano singing interpersonal anxieties and sugary romanticisms with a skyward thrust. The “Sleep Talk” 7-inch, which also includes another single called “Dinner Date,” is out September 18, but “Sleep Talk” the track will be available digitally on July 10. For now though you can listen right here. Physical copies are available for pre-order through Father/Daughter and Art is Hard.